Sacred Crystal Paintings Shop 50% Off And More Sale Happeing Now! 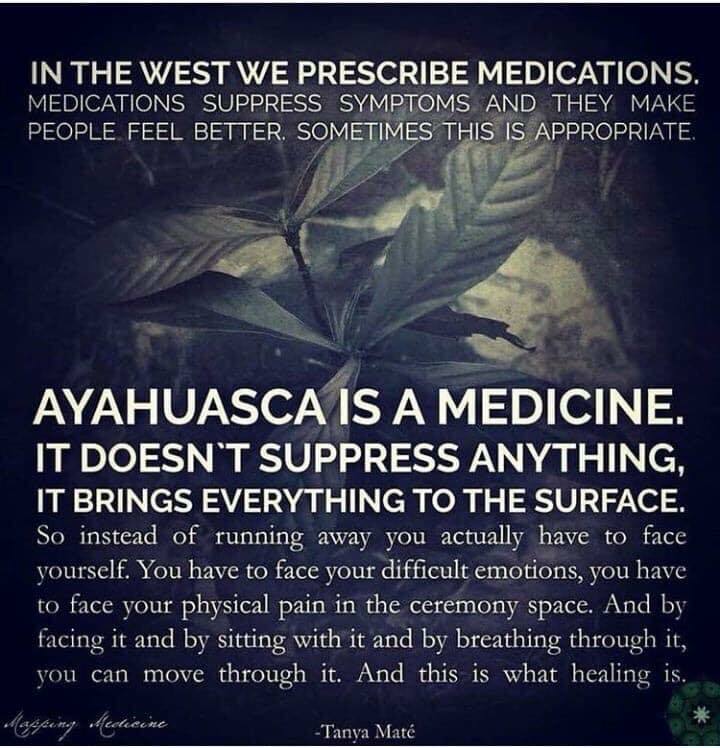 In my experience, Ayahuasca really is a medicine. One to be used sparingly with lots of integration, community support and therapy in between sessions. There are so many times I would go into a ceremony and then need months or sometimes years to process it. Just needing time to rest, rejuvenate and integrate all that was floating to the surface and coming up for healing. When I first started participating in plant medicine ceremonies almost a decade ago, I would feel bad for taking so long and I would be impatient to get to the next one. I wanted to bypass the witnessing and resting part of the healing journey and move onto the next ceremony but I found that to be too harsh for my body and mind. So I made a pact to myself to never do more than my body gave me permission to handle to let myself process the first ceremony/workshop as fully as I could before moving to the next one. Even now with microdosing, I take a long break after 30-40 days...to integrate everything I have learned and see what’s true for me at that point. It’s easy to get caught up in the next ceremony or workshop and lose sight of this moment and all the work that’s already been done. There really is a time to do the healing work through ceremonies, workshops and other transformational processes and then there’s that other time when the body informs you “hey it’s time to rest and integrate now”. Trust your intuition on that one. I have learned over the years, that incubation is a part of the healing process...one that is to be honoured while walking this path of transformation and healing. 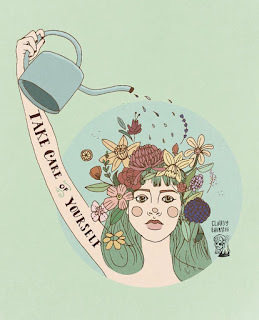 It can be challenging to pull back when that happens, to stop and just let the body/mind/soul marinate in all that’s been healing within but it is necessary at times to slow down, let it all sink in and actually let the healing begin. If you need any help or advice with microdosing, dietas or integrating any of the work you are doing (pre or post integration), I am here to help. Please feel free to reach out to book a session with me. What Is Microdosing & How Can It Help Me? What is microdosing and how can it help me? I’ve been getting these two questions a lot lately and I thought I would shed some insight on it for you all. 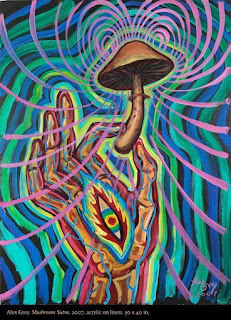 Microdosing is typically taking a psychedelic or plant medicine in very small quantities (1/10th -1/20th Of the average dose) which is ALMOST subperceptual. The psychedelic is taken 2-3 times per week for 40 days then taking a break before trying a different substance or starting a new cycle on the same substance. Ideally a mood diary is kept to track how you are feeling and depending on which substance you are using, a special diet may need to be followed. Depending on which psychedelic is used, It can help ease anxiety (especially social anxiety), depression and migraines as well as increasing feelings of well being, creating more flow states, productivity and creativity...and much, much more. But not every psychedelic works for everyone in the same way. So it’s best to listen to your body and honour your own experiences. I’ve been microdosing on and off for 4+ years now. 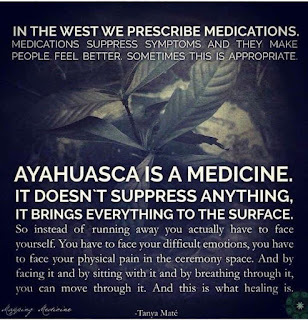 When I first started, there was hardly any information out there about it especially with the, at the time, rarer plant medicines like Ayahuasca and Huachuma so it was a lot of trial and error at that time. 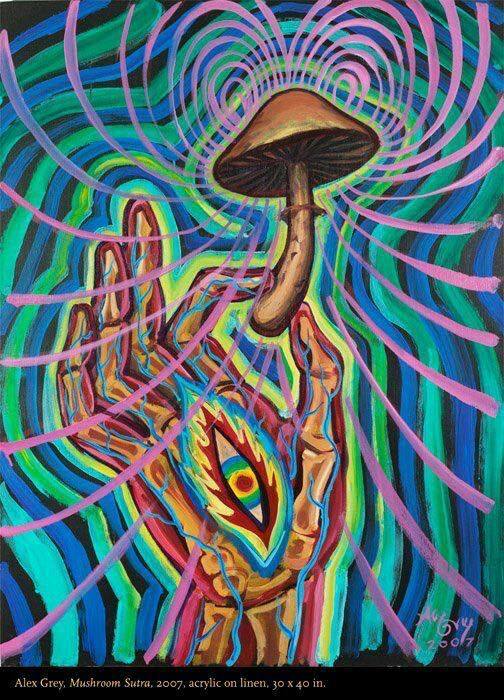 I find that .25g of mushrooms (or slightly less) or 5-10 drops of Ayahuasca / San Pedro can really make a huge difference in uplifting my mood and my ability to interact with people and engage in life in a purposeful and meaningful way (especially if I’m in a depressive episode it can really help me snap back from that in a hurry). Over the years I’ve learned what works and doesn’t work. Like Individually microdosing with mushrooms, ayahuasca or San Pedro is a wonderfully integrated and gentle experience. I will say however that for me, this is not the case with LSD. I find LSD triggers me, gives me more anxiety and an unwillingness to leave my house. However, I know plenty of people who have the opposite experience on LSD. Not every medicine is for everyone. So it’s up to you to do your research and see what’s the best fit for your body and mind. You will know within the first week if something is or isn’t right for you at this time. Keep a journal, keep the doses tiny and truly listen to your body ...don’t pigeonhole yourself into a particular psychedelic just because it’s working for everyone else. There are so many options out there. Self care is so important. When we are working hard to integrate our spiritual experiences, or we are going through an energetic/vibrational shift, it's easy to forget all the tools we have in our toolbox. Day 1 of self care: I journaled, meditated, practiced yoga, played my guitar & sang, had a shamanic drumming session, earthed myself in the grass and watched the sky for the meteor showers, made all my own meals, ate nutritious yet delicious vegan foods, connected deeply with a friend, I read a chapter of a yummy spiritual book, I lit candles and incense, smudged myself, had a great cup of loose leaf herbal tea, played with and cuddled a cute kitty cat, organized and cleaned my space, listened to a podcast which expanded my knowledge, watered my plants and talked to them a little, listened to some beautiful pieces of music, had an amazing existential discussion, created some art, wrote my morning pages, practiced some intense pranayamas, gave myself a huge hug, focused on my integration practice and helped a few lovely souls with their integration journey as well. I feel deeply connected, full of vitality, a sense of fulfillment and deep inner peace. What's on your list? What did you do to make yourself feel loved and nourished today?